Now Offering Free USPS Mail Tracking! You shouldn’t have to worry about when – and if – your bulk mail is delivered. 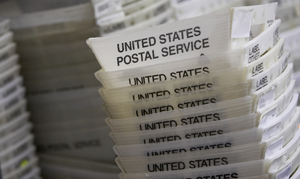 We are one of the few mailing houses in Connecticut to offer free USPS Mail Tracking and Tracing. You can now track customer mailings as they are distributed throughout the country. The possibilities are endless! Contact us and get mailing today! Let’s get mailing! We’re here to make sure you get your message out. Let us start working with you to reach your customer’s doorstep!